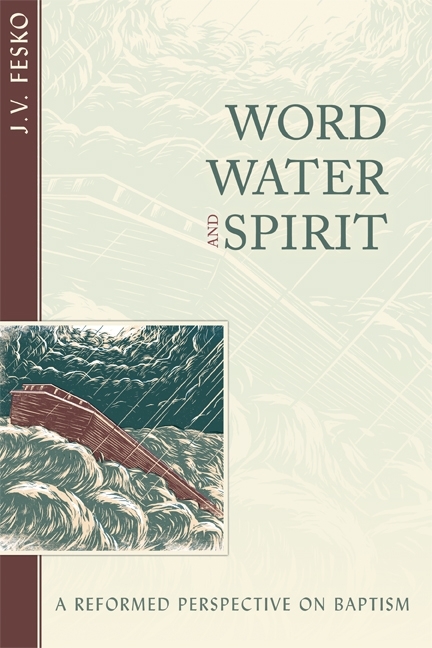 J. V. Fesko’s Word, Water, and Spirit is a major work that both models how to do theology by moving from historical theology to biblical and systematic theology and, most importantly, presents fresh insights for a Reformed understanding of baptism. Fesko’s fair-minded, page-turning history of the doctrine of baptism is itself worth the price of the book. Most enlightening, however, is his biblical-theological survey of baptism as new creation, covenant judgment, and eschatological judgment. The book’s emphasis on God’s judgment in baptism is particularly innovative and helpful. These insights pave the way for treating baptism systematically as a means of grace and as a sacrament in relation to its recipients and ecclesiology. 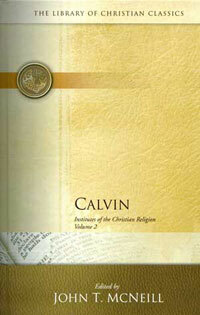 Highly recommended for all who wish to grapple seriously with the doctrine of baptism and its implications. Is Justification ‘just’ a Metaphor? There are some who would argue that the concept of justification is just a metaphor. And since metaphors are merely meant to tell us something about how God relates to us, they are contextual and don’t necessarily signify an actual reality. And since justification is likewise a metaphor (they say), it is not essential nor necessary to our understanding of salvation and may be readily interchangeable with other metaphors — say theosis. Because soteriology, and more specifically justification, is inextricably bound with Christology in the concrete reality of the incarnation, one cannot make the claim that justification is but one metaphor among many other legitimate images of redemption. One can easily see the problems with construing justification as a metaphor when it is compared with its theological antonym, condemnation. Prior to the believer’s justification, he is at enmity with God; after his justification, he is at peace with God (Rom. 5:1). If atonement and justification are merely metaphors that compete with other images such as union with Christ, then one must come to the conclusion that sin is also a metaphor: propitiation is God’s metaphorical way of dealing with a metaphorical problem. The glaring problems is, of course, that sin and death are not metaphorical, and neither is the wrath of God, which Christ placates by his crucifixion, which is a propitiation. To place justification, or any other element of the ordo salutis for that matter, into the category of the metaphor does violence to the message of Scripture and destroys the gospel. – Fesko, J. V., Justification: Understanding the Classic Reformed Doctrine, (P&R Publishing, 2008), pp. 64-66. For many Christians, it probably comes as a surprise that this isn’t the only thing Scripture has to say about tradition. In fact, later on in the New Testament, we find the Holy Spirit inspiring Paul to admonish the saints to “hold to the traditions” handed down to them. So then, brothers, stand firm and hold to the traditions that you were taught by us, either by our spoken word or by our letter. Now we command you, brothers, in the name of our Lord Jesus Christ, that you keep away from any brother who is walking in idleness and not in accord with the tradition that you received from us. So we see then that, according to Scripture, not all tradition is bad. Certainly, all “traditions of men”, since they’re not founded upon Scripture, are to be avoided as worthless before God. However, on the other hand, the Apostolic tradition handed down from the Apostles themselves and established in God’s word is to be affirmed whole-hearteldy. This tradition of the faith “once for all delivered to the saints” [Jude 3] is the one tradition different from all the rests. And we as Christians are called to remember, cherish, and defend this tradition with our very lives. The English word “heresy” comes from the Greek verb hairein, which means “to choose.” A hairesis originally meant, quite simply, the taking of a choice…. Thus, in Galatians 5:20 the Apostle Paul lists “party spirit” (hairesis) along with such evils as strife, selfishness, envy, and drunkenness among the “works of the flesh.” … The heretic denied…authority, refused to accept the tradition in toto. Instead he picked and chose from the contents of the tradition, and from these pickings and choosings constructed his own deviant opinion. The problems today, says Berger, is that there is no sense of an overarching authority that would measure deviance. In this environment in which personal choice reigns, heresy–cutting one’s own path apart from everyone else–is now normal. Accepting the authority of someone else, even God, is abnormal. “Modernity creates a new situation in which picking and choosing becomes an imperative.” Everyone has to be eccentric, and every successful enterprise, including the church, must cater to each person’s (or at least generation’s) eccentricities. 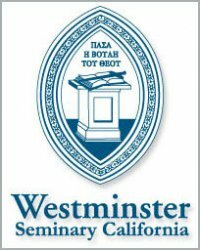 Why should we “postmoderns” be expected to think and worship in continuity with “premoderns”? A nation that gets its nose out of shape when someone suggests changing the rules of baseball (“It won’t be baseball anymore!”) takes it for granted that God must get over his own personal tastes in order to accommodate ours–and that his church must either surrender or be left for dead. (The only real apostasy is being left behind in the sweep of progress.) – Michael Horton “A Better Way” pp. 47-8. John Calvin, in his Institutes of the Christian Religion, goes great lengths to destroy any foundation under the feet of those who would insist on good works (even Spirit-wrought, regenerate, and sanctified works) as playing any part in our justification and right standing before God. He also offers insight as to why this form of legalism so easily offers itself to the minds of sinners like us. 1. No one is righteous before God’s judgment seat. Even though all these things are by shining testimonies shown to be perfectly true [Calvin is referring to his treatise on free justification], still, how necessary they are will not be clear to us until we set before our eyes what ought to be the basis of this whole discussion. First, therefor, this fact should occur to us: that our discourse is concerned with the justice not of a human court but of a heavenly tribunal, lest we measure by our own small measure the integrity of works needed to satisfy the divine judgment. Yet it is amazing with what great rashness and boldness this is commonly defined. Indeed, one can see how there are none who more confidently, and as people say, boisterously chatter over the righteousness of works than they who are monstrously plagued with manifest diseases, or creak with defects beneath the skin. That happens because they do not think about God’s justice, which they would never hold in such derision if they were affected even by the slightest feeling of it. Yet surely it is held of precious little value if it is not recognized as God’s justice and so perfect that nothing can be admitted except what is in every part whole and complete and undefiled by any corruption. Such was never found in man and never will be. In the shady cloisters of the schools anyone can easily and readily prattle about the value of works in justifying men. But when we come before the presence of God we must put away such amusements! For there we deal with a serous matter, and do not engage in frivolous word battles. To this question, I insist, we must apply our mind if we would profitably inquire concerning true righteousness: How shall we reply to the Heavenly Judge when he calls us to account? Let us envisage for ourselves that Judge, not as our minds naturally imagine him, but as he is depicted for us in Scripture: by whose brightness the stars are darkened [Job 9:5-6]; by whose strength the mountains are melted; by whose wrath the earth is shaken; Whose wisdom catches the wise in their craftiness; beside whose whose purity all things are defiled; whose righteousness not even the angels can bear; who makes not the guilty man innocent; whose vengeance when once kindled penetrates to the depths of hell. Let us behold him, I say, sitting in judgment to examine the deeds of me: Who will stand confident before his throne? 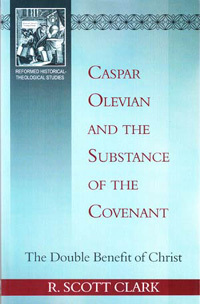 In light of the recent debates (in the PCA) over our understanding of the forgiveness of sins (and what that means when we say it), it is helpful to read old guys like Caspar Olevian who helped shape our confessional understanding of Reformed doctrine. Reading through ‘Caspar Olevian and the Substance of the Covenant‘ I come to what he calls the “forgiveness of sins” (remissio peccatorum). And how does he define it but in terms of justification. He calls it “the greatest question in the entire world” (p. 148). What question? So we see here that for Olivian, the gospel was about the forgiveness of sins through the justifying work Jesus Christ imputed by faith unto the believer. And, to further stress this point, it wasn’t to the unbeliever that these things were given — but to “those who believe”. Forgiveness and justification go together. And with them come regeneration, sanctification, and ultimetely glorification. And, brothers and sisters, this is why the Gospel is so awesome (for lack of a better term). Just as surely as you know (and are convinced) that you are a sinner and have sin in you; and just as surely as you know you’re going to eventually die because of this; you can also be just as assured that Christ is in you; and because of that fact you are also righteous; just as assured that you have everlasting life in you and that will never perish but will surely be raised from the dead. Just as sure! Think about that. This is definitely good news — the best in the world! And it is for all who believe. May we, too, live with that conviction. It is, nevertheless, the very cor cordis of the Gospel that is here brought under fire. The one antithesis of all the ages is that between the rival formula: Do this and live, and Live and do this: Do and be saved, and Be saved and do. And the one thing that determines whether we trust in God for salvation or would fain save ourselves is, how such formulae appeal to us…. Just in proportion as we are striving to supplement or supplant His perfect work, just in that proportion is our hope of salvation resting on works, and not on faith. Ethicism and solafideanism—these are the eternal contraries, mutually exclusive. It must be faith or works; it can never be faith and works. And the fundamental exhortation which we must ever be giving our souls is clearly expressed in the words of the Hymn, “Cast your deadly doing down.” Only when that is completely done is it really Christ Only, Christ All in All, with us.